Until a few days ago I have been hiking in the mountains in the very north of Sweden. My exploration lasted almost two weeks. 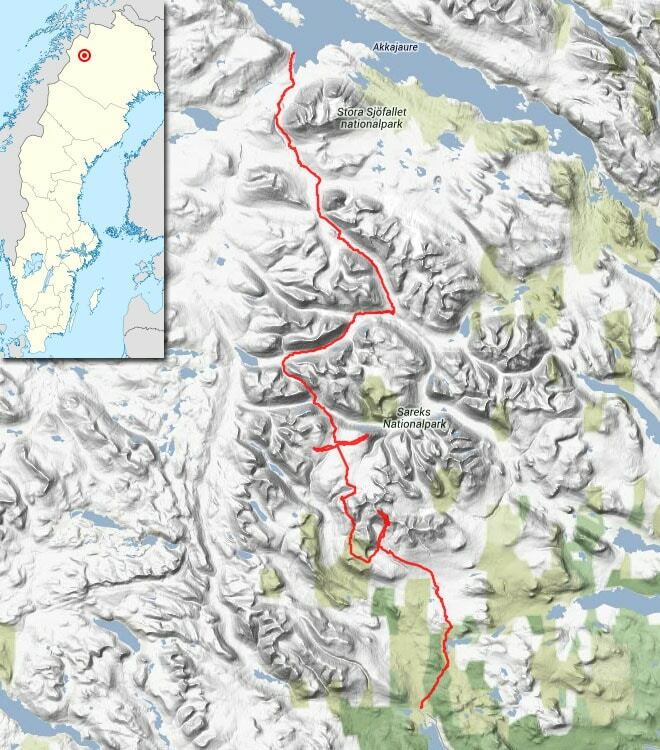 The longest part of my hike was within the boundaries of the national park Sarek, the most mountainous area in Sweden. This largely untouched area is only accessible on foot and has no marked trails, accommodations or other man-made infrastructure (except for a single emergency phone and two bridges). This means you have to carry a large amount of supplies in addition to tent and other gear. Of course, I also took a camera and tripod with me leading to an initial backpack weight of almost 30 kg. I have just begun to review my pictures, the above are two samples. Unfortunately, I lost some shots due to a defect of a memory card. Nevertheless I am happy with the results and will setup a new gallery in the near future, so be sure to check back.